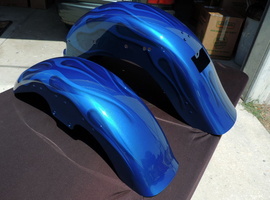 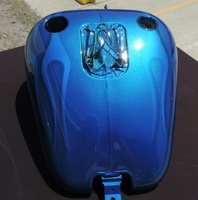 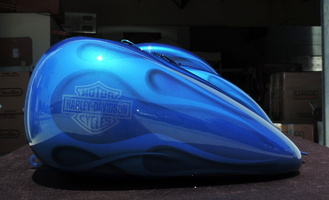 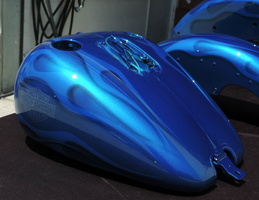 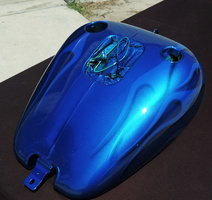 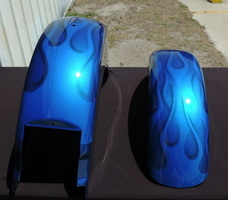 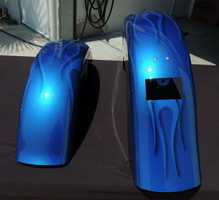 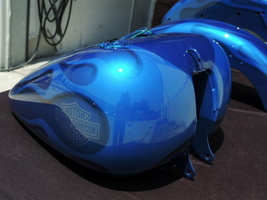 We painted a set of new tins in a candy blue basecoat with brighter candy blue flames. 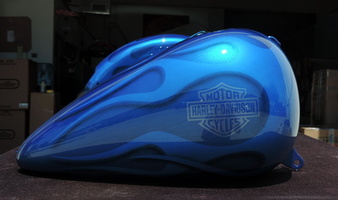 Some of the flames cross over each other and drop shadows added to emphasize the flames give them "height". 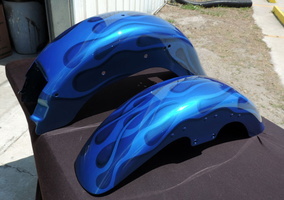 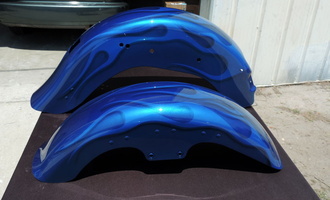 A set of H-D ghost bar & shields painted on the tank sides.